Founded in 1994, Celtic Group Hostels was initially formed by our hostels in Ireland to specialise in group bookings for them. Twenty three years later….. We are now the top network of hostels in Ireland specialising in group bookings and activity & tours booking services. Our hostels are situated in ideal locations for group tours - five located in Dublin city centre, three along the Wild Atlantic Way in Galway City, Connemara and at the Cliffs of Moher in the Burren and two located in Cork City centre, the gateway for exploring Southern Ireland and Ireland’s ancient east. We don’t just provide great hostel beds in great locations, we can help with EVERY aspect of your groups visit. 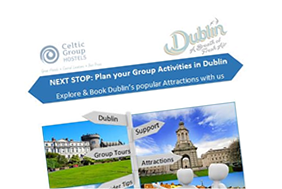 We also provide an extensive activities & tours booking service for all groups that stay in our hostels – these services range from airport transfers, meals, day tours, most popular visitor attractions through to Irish experiences and beyond sightseeing special interest visits. This service is exclusive to groups that book with us and available at discounted group prices. That’s the difference when you book your group hostel accommodation with Celtic Group Hostels group booking specialists - whatever help you need, we’ll be there for you, working with you to plan and organise your group hostel booking and things to do, to make your groups visit as enjoyable and hassle-free as possible. In Dublin we have a central reservations office dedicated to group bookings, staffed with a small experienced team. Everything we do, every day, is designed to make it as easy as possible for group travel organisers to make bookings in our hostels. You won’t believe how helpful we can be looking after all aspects of your group booking with constant support and back-up during the process. Each year over 800 groups enjoy our hostels in Dublin, Cork, Galway City, The Cliffs of Moher and Connemara. Our repeat booking levels are the highest in the market with hundreds of groups and thousands of students coming back to us every year. ​Contact us now to discuss your requirements. In a hurry? Just complete your group bookings form here! 25 years experience in group bookings management and itinerary planning. 10 hostels in ideal locations for group tours in Ireland. Volume Provider: 1,250 hostel beds in Dublin, 2,500 in Ireland. Expert knowledge of Ireland & 55 years combined experience in one group team. 800 group bookings & itineraries per year. 30,000 students annually. Back up & support: 24 hours emergency contact and support for your group in Ireland. We work with groups from schools, colleges, universities, sports clubs, language & music schools as well as group tour operators and travel agents from all around the world - find out how we can help you here! We co-operate with a large portfolio of group travel organisers from all over the world regarding their group hostel requirements in Ireland. We understand that each market is different and has its own characteristics and we work with our partners to ensure the best service for their group bookings. Our repeat booking levels are among the highest in the market. Celtic Group Hostels have everything a group organiser is looking for re their hostel requirements – amazing city centre locations, excellent facilities and incredible rates! They have been our partner in Ireland for our sports groups for the last 20 years and their service is second-to-none! The best agent anyone could ever wish for. They always provide the best service and do their utmost to meet the demands of our clients. They offer nice accommodation, great program and are back with answers very quickly. We’ve worked together with Celtic Group Hostels for a number of years. 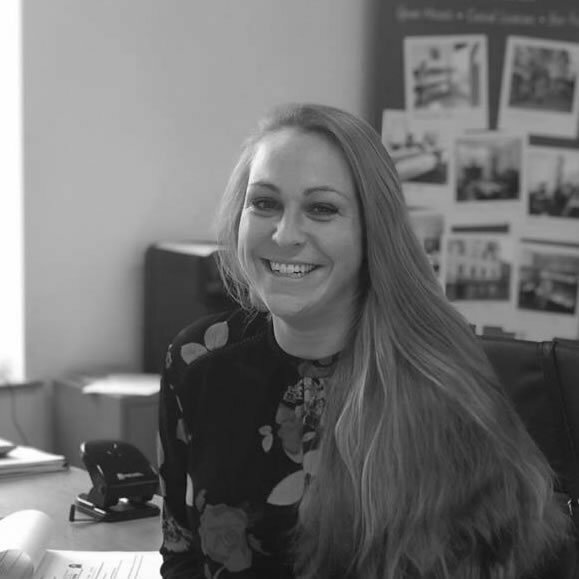 The team are all highly efficient, knowledgeable and friendly! Groups are always satisfied with the services provided during their tours and leave positive feedback! We have been working with our valued partner Celtic Group Hostels for over many years. They have contributed massively to our growing business to Ireland with their great hostels, great staff, brilliant service, excellent value for money and top client testimonials. For us, Celtic Group Hostels is our number 1 partner in Ireland!